Homemade Oatmeal Creme Pies are fresher cookies than you can get at the store. 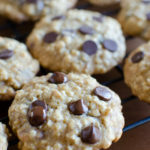 Feel good about giving your kids a lunchbox treat with these Copycat Oatmeal Creme Pie cookies! 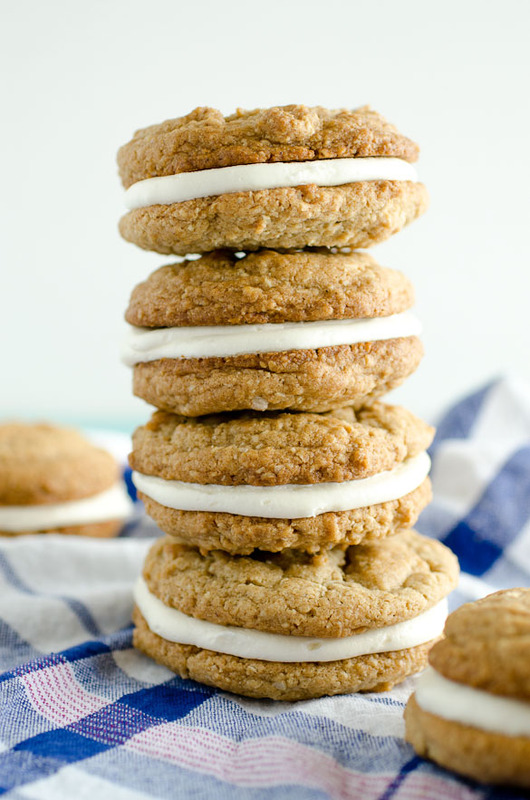 This week I’m giving you TWO Oatmeal Creme Pie recipes. Seriously. This recipe is the one you need first, before the other I’m sharing with you later this week. 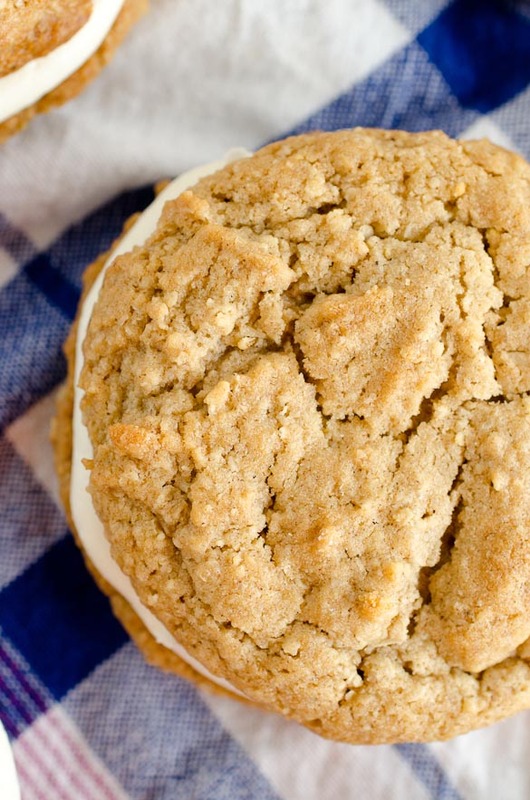 I’ve made you oatmeal cookie sandwiches before and I thought they were reminiscent of the Little Debbie version…until I made these. These are, like, IT. The cookie part is MUCH closer to the real deal. No raisins (hallelujah!) and a softer, chewier texture. Come back Thursday for an even tastier treat!! Preheat your oven to 375 degrees F. Line two baking sheets with parchment paper or a silicone liner. In the large mixing bowl, cream together the butter and sugars at medium speed until light and creamy, about 2 minutes. Beat in the egg, vanilla, and honey; set aside. In a separate medium bowl, whisk together the flour, baking soda, salt, cinnamon and cloves. Stir in the quick oats. Slowly mix dry ingredients into the wet ingredients at low speed until fully incorporated, but do not over mix. Use a large (3 Tablespoon) cookie scoop to drop dough balls onto the prepared baking sheets, spacing 2 inches apart. Bake for 10 minutes, until golden. Remove from oven and let cool on baking sheet for 10 minutes, then transfer to a wire rack to completely cool. Beat the butter and salt in a mixing bowl until creamy, about 1 minute. Gradually add the powdered sugar and beat on medium speed for 1 to 2 minutes. Stir in the heavy cream and vanilla. Turn the mixer to high speed and beat for 3 to 4 more minutes. Match the cookies into pairs of equal sizes. Spread or pipe the filling onto the back of one cookie from each pair, then top with the other cookie. Store for up to 2 days in an airtight container at room temperature or in the refrigerator. *Only have whole-rolled oats on hand and not quick-cooking oats? You can make your own quick-cooking oats by grinding 3 cups whole-rolled oats in your blender or food processor until fine. Oatmeal creme pies are one of my favorite classic treats of all time! These look spot-on, can’t wait to try ’em! 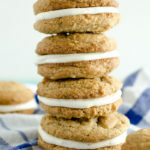 Ooh, I adore a good Oatmeal Creme Pie recipe and Sally never lets me down when it comes to recipes! I bet these are just as fabulous as you say! Mmmmm, I used to be obsessed with these creme pies when I was kid but I haven’t had one in ages! Gotta get these copycat ones back into my life ASAP! Oatmeal Cream Pies are my kryptonite. This recipe is dangerous!! Ohmygosh these are so cute! Love everything Little Debbie! 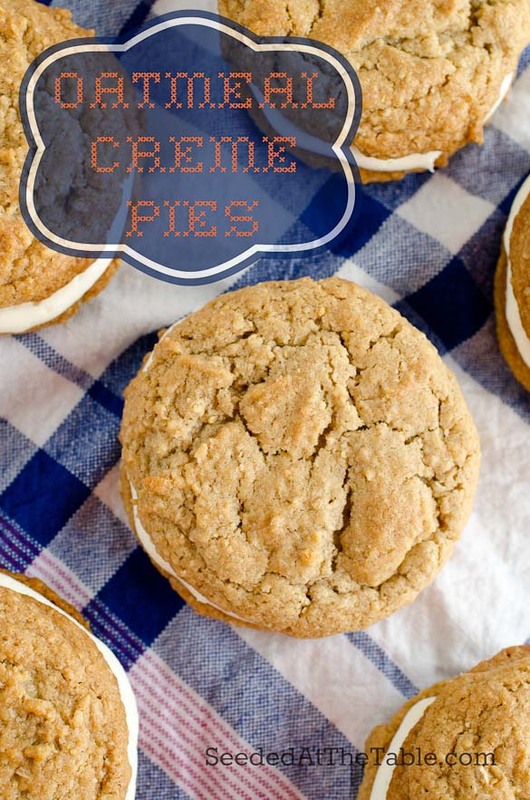 I adore oatmeal creme pies and these look seriously good! Oh girl…I LURVE me some oatmeal creme pies! 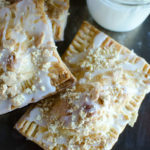 I have never had oatmeal cream pies before but I know I would love these! The thick, chewy cookies and all that filling look great!! CANNOT wait to try these!!! Those Little Debbie’s were my favorite as a child (and honestly I would still buy them now if my husband didn’t look at me funny when I put them in the cart). Can’t WAIT to make them!